In the Mannheim Medical Technology Cluster, start-ups and young entrepreneurs can benefit from a start-up promotion programme that is considered a benchmark. These incentive programmes include business and strategy consulting, funding, premium office space and additional shared services, a dedicated resource for MedTech and other highly innovative entrepreneurs in early stages. Acquiring necessary funding often presents a major challenge for both, start-ups and young SMEs. The Office for Economic Development facilitates initial investments through the KREATECH funding-scheme to support technology-oriented start-up companies in Mannheim. The total amount is limited to 50% of the eligible investments and amounts to €1,000 at the minimum and €20,000 at the maximum. 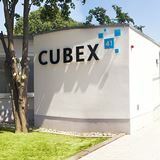 In the former building of the hospital pharmacy on the campus of the University of Mannheim opened in March 2015 the 1700 square meters, innovative foundation and competence center CUBEX41 for medical technology companies. 24 companies with up to 65 workplaces will find flexible office and laboratory rooms in CUBEX41. The well-known "Innovation Cubes" (i-Cube) are a special feature of the founding and competence center. These standardized hybrid rooms can either be used at the same time or as an office, (electrical) technology laboratory, mechanical workshop or pilot production room. Each i-Cube can change over time.